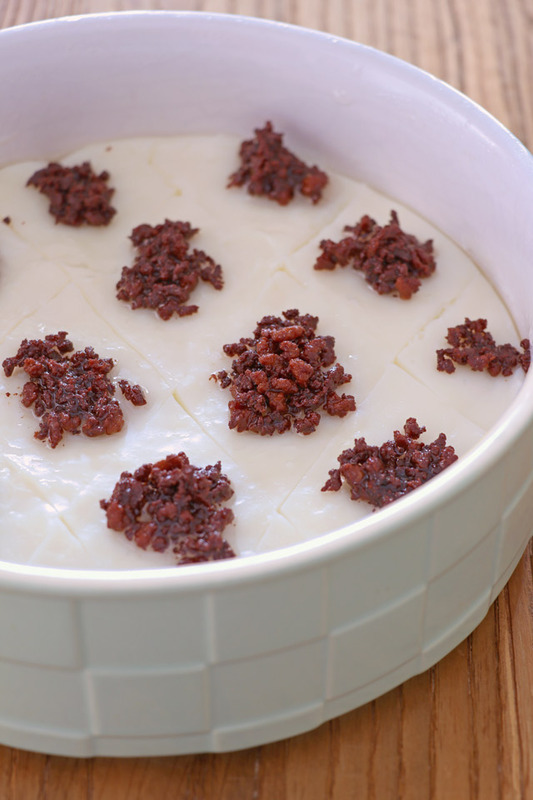 Try this authentic Kapampangan Tibok Tibok recipe for an easy, yummy, milky treat. 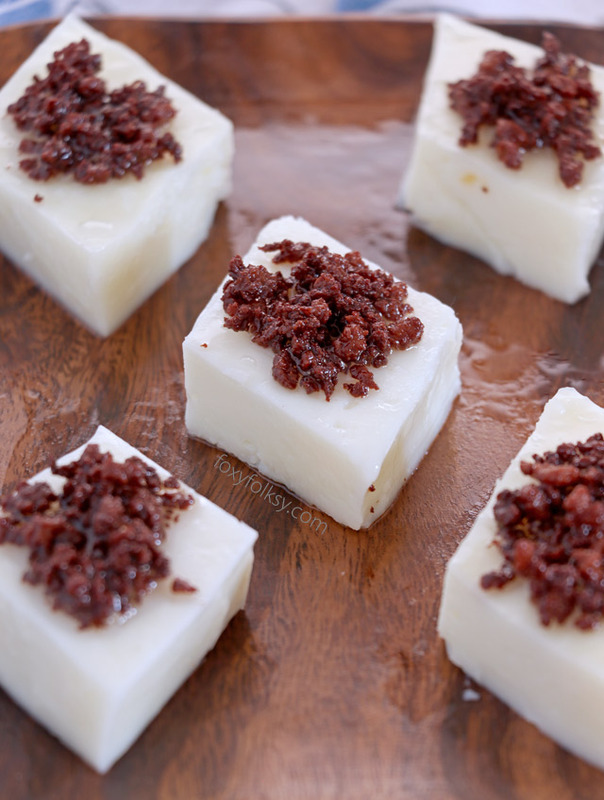 Tibok Tibok is a milk pudding that is native to the province of Pampanga and up to this day, Kapampangans still do it the traditional way by using Carabao’s milk. You will see other recipes for Tibok Tibok that calls for coconut milk, but actually, if it is done using coconut milk then we call it Maja Blanca, which is the more popular counterpart of this delicacy around the country. This is so we know which is which. By the way, you can also check my Maja Blanca recipe here. Yes, Kapampangans are somewhat very particular when it comes to food and even the smallest thing makes a big difference. If you ask me, what makes Kapampangans rise in the culinary field, is because of the willingness to go that extra mile just to make any food a little bit more special. This immaculate white and silky smooth texture can only be achieved by using purely carabao’s milk. 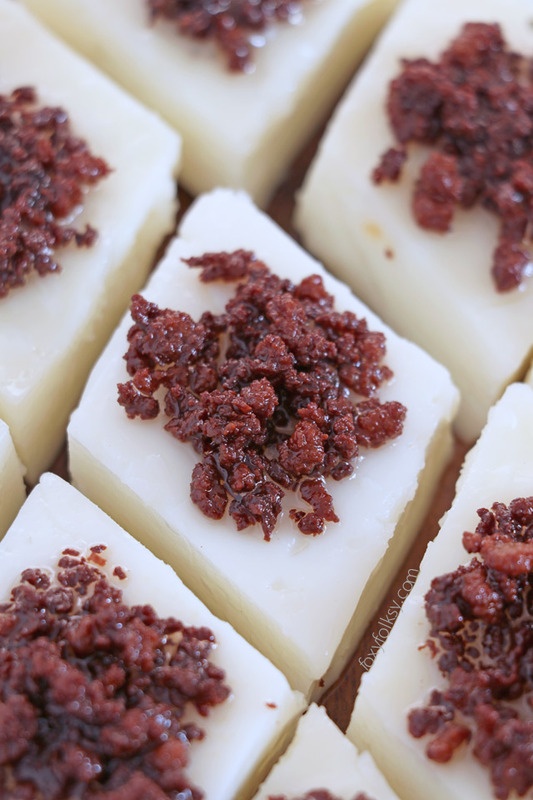 It becomes firm once it sets and cools off but the moment you take a bite, you will see how delicate it is and how it deliciously melts away in your mouth. Pure carabao’s milk is also richer and creamier than coconut milk and because supply is limited, more expensive. I know that it is very difficult to find carabao’s milk and I am sure it is not even heard of in other parts of the world, so as an alternative, use fresh cow’s milk. The funny name ‘Tibok Tibok’ is derived from the word ‘tibok’ which is the translation in Tagalog and Kapampangan of the word ‘pulse’ or ‘beat’ as in heartbeat. It is named so because of how you can tell that The Tibok Tibok is done, it starts to pulse as the bubbles try to break into the surface. Tibok Tibok will not be complete without the Latik toppings. It is the brown solids that are formed when you boil coconut milk for some time. I wrote about Latik in my last post. 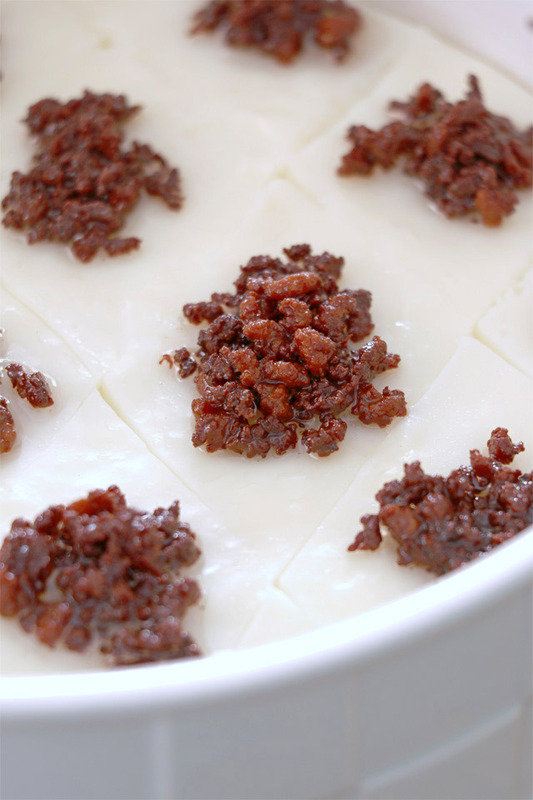 Tibok-Tibok is a native Kapampangan delicacy of milk pudding made from carabao's milk with immaculate white, silky and jelly-soft texture that is rich and creamy. 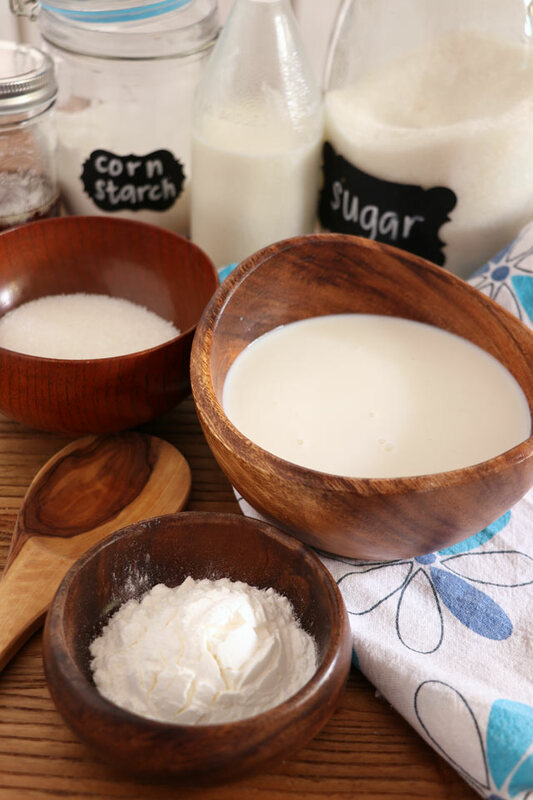 In a small bowl, combine and mix together granulated sugar and cornstarch. Take 1/4 cup of the Carabao's milk and add it to the mix. Stir well until sugar is dissolved and texture becomes smooth. Pour the rest of the milk in a pan or pot and bring to a simmer over low heat. 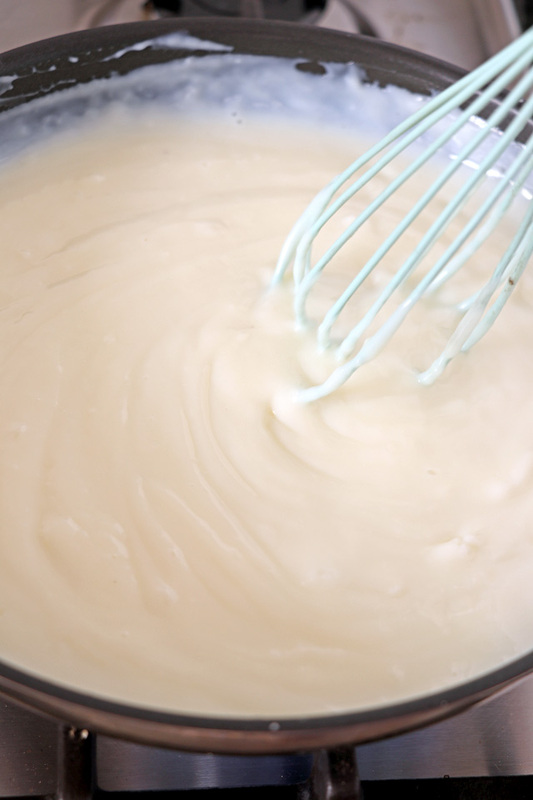 Pour the sugar-cornstarch mixture into the pan through a sieve to make sure any lump is filtered out. Let the pudding cook while stirring constantly until it becomes thick and the first bubble appears. Immediately transfer the pudding to a greased container and give it a big tap to release trapped air and to level out the pudding. Cover and let it cool down to room temperature for it to set nicely. You may place it in the fridge if not serving immediately. Run the knife to make diagonal cuts on the cooled Tibok Tibok. Top with Latik and serve. Looks simple and easy! Dacal a salamat, Bebs! Hi Cabalen! Hope you’ll like it! Very sweet! Thank you again. Thank you, thank you for this! I seem to remember, I asked you to research the recipe for tibok-tibok some time ago. Unfortunately, there are no carabaos here in the US but will try cow’s milk. Hi Leah, actually I made this one especially for you (*wink) :-). Try fresh cow’s milk if you can get one. Enjoy!